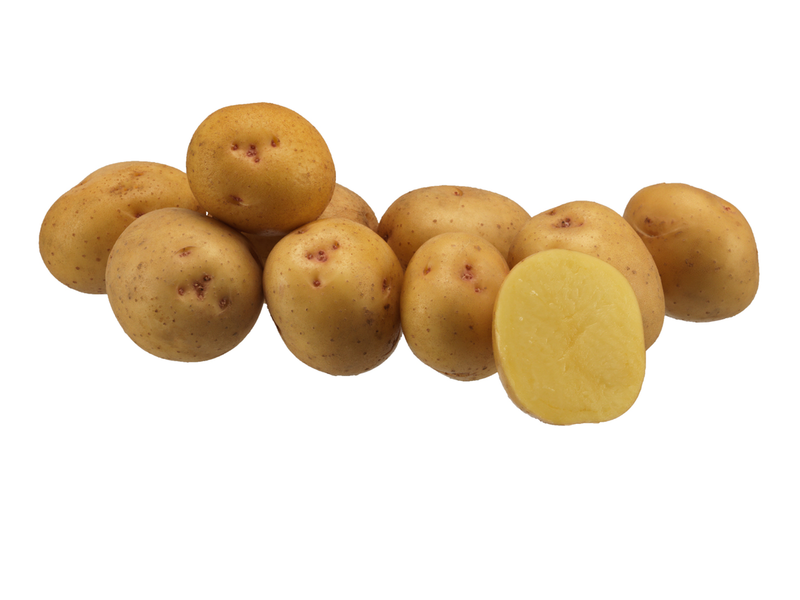 Destiny is a chipping variety with yellow skin and yellow flesh colour. The tubers are round oval with little red shallow eyes. The tuber numbers are generally good and of uniform size, producing an excellent yield. It is a fluffy cooking type with moderately high dry matter content. Destiny is suitable for growing on most soil types, but can be susceptible to common scab. Destiny is suitable for markets all over the world. NOTE: This variety is still in trials in North America in order to collect and evaluate agronomic data.